Re-upload of XP SP4 OPK with missing networking files added. Latest XP SP4 OPK below. Last edited by harkaz on Sun Oct 14, 2018 5:00 pm, edited 4 times in total. 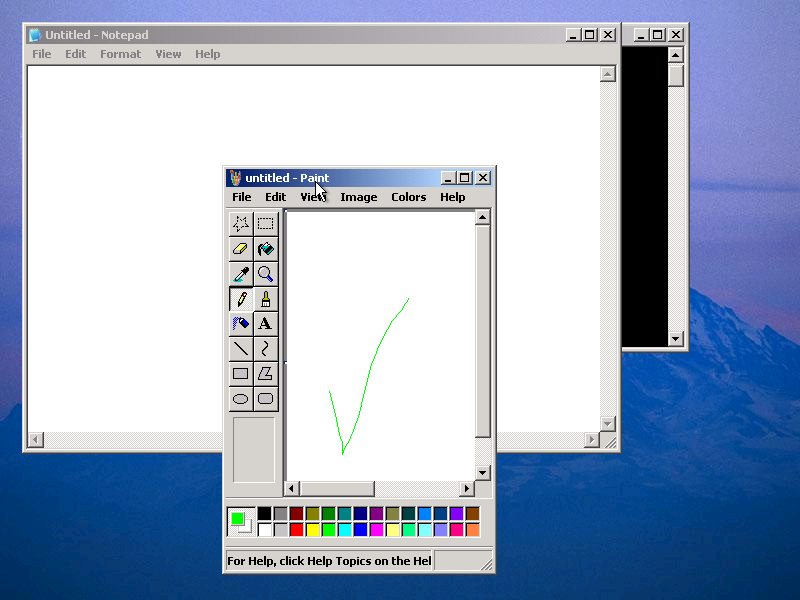 To build this version, using the bootloader from Server 2003 OPK was necessary. See post below for download information. Last edited by harkaz on Sun Oct 14, 2018 5:02 pm, edited 5 times in total. Yes, that's right! You can now boot OEM Preinstallation Kit - Windows XP SP4 Preinstallation Environment on modern hardware! A full list of integrated SCSI adaptors can be found in the SCSIDRVS.RTF - same as the ones inside DP_MassStorage_wnt5_x86-32_1209!! Furthermore, this SCSI OPK ISO release includes *ALL* deployment tools for XP SP3 (and SP4) - including special addons from the POSReady 2009 installation disk. A readme file I wrote (located in the TOOLS folder) may be enlightening. ii) Search online for Windows Embedded Standard 2009 (XP Embedded SP3) ISO. Last edited by harkaz on Sat Oct 27, 2018 6:25 pm, edited 8 times in total. 4. All .NET Frameworks (1.1, 3.5, 4.0) MUI - .NET 1.0 contains language specific resources when it's installed. These files are getting difficult to find, so enjoy! This version of Windows XP SP4 MUIs should be installed on a Windows XP SP4 v3.1b Professional system. Last edited by harkaz on Sun Oct 14, 2018 9:20 pm, edited 2 times in total. Download links for SP4 MUI ISO now available. This alternative installation SP4 release is called: WindowsXP-USP4-v3.1b-NODOTNET-x86-ENU.exe available from main Google Drive folder. Dude, you are awesome! Thank you so very much!! Last edited by GH0st on Sat Dec 29, 2018 7:55 am, edited 1 time in total. I have been trying to install Service Pack 4 but i get an error saying that "The Service Pack 4 c:\randomletters\i386\update\update.inf file is not correct" Any solutions? My favorite day of the month! Hi harkaz : Uploaded your new file 11/19/18, also your old versions are there. Thank You Again for all your work. Could you please check your download link. File has been taken down according to the message there? Wondering if anyone has an idea as to what I should do here. I chose to upload my updater to Mediafire because others upload their update files to there, seemingly with no problem. Mine has been flagged and now disabled. Last edited by GH0st on Mon Dec 03, 2018 3:02 am, edited 1 time in total. I'm thinking there is no way they looked at the file ... just flagged it based on the name alone, so if I rename it, "GH0stPak_01Dec18", it shouldn't even be noticed! Last edited by GH0st on Sat Dec 29, 2018 7:56 am, edited 1 time in total. Gh0st - None of the links for your post-USP4 hotfix pack work anymore. I tried all the way back to May - they're either removed by MediaFire or dead links. Upload it to your Google Drive! You can get shareable links for individual files without people accessing the whole drive. Any update on this? Is there a concern that's keeping you from using Google Drive? Please, Let me know if it downloads correctly! Ii haven't tried to install it, but it seems to download correctly, at least for now. Thanks, would you check again for me please, made some changes. Also, look at my Hotfix installer page, see if its looks correct and if you can access the google drive page, which has folder with OLDER stuff in it. see if you can download stuff from with in there too please! I did do a install on my current (dirty) install, as well as the latest Abbodi dotnet updater ... all is great! I'm not sure I understand. By your "Hotfix installer page" do you mean the post in this thread that your "WinXP Post uSP4 Hotfix Installer" link in your sig links to? If so, I think it looks fine, but like I've said before, it has now been quite awhile since I've installed XP so I have no direct experience with your installer. The link in that post to the latest version of your installer and the link a few posts up from here are the same and link to the version I downloaded earlier this morning. You have not made any changes since then that I am aware of, so I'm not sure what you meant by your request that I check again. It downloads and opens fine and has the files that you list that it should, but I have not tried to install it or run your bat. Your Google Drive link works and I am able to download the older versions of your installer from there without issue. Sorry I'm not more help. I hope you have better luck with Google Drive than you had with MediaFire. I'm not sure why they gave you a hard time. Downloaded and installed fine for me! Thanks for your work! Yeah, I just wanted someone to check see if they all DL'ed fine and Google Drive could be accessed by people other than myself. All seems good. I too am not sure why media fire had issues with it. But, I closed that account. Hoping Google is ok with what I am doing! Crossing fingers! Merry Christmas ... hoping you all have great holidays! Hope everyone had a safe night!! Download links for SP4 MUI ISO not working. Sorry, I just saw now that the files are inside the folder "Windows XP Unofficial SP4 Final"
I have some questions. I'd like to update my Windows XP using this but it is German. Does that mean I'd have to reinstall it to make it english so the SP4 update pack can run? Nice updates, been away for a while and I'll try out my windows XP MCE to see how that works. There is updates to both my post uSP4 hotfix installer and Abbodi dotnet updater. Look above at Ghost's sig. 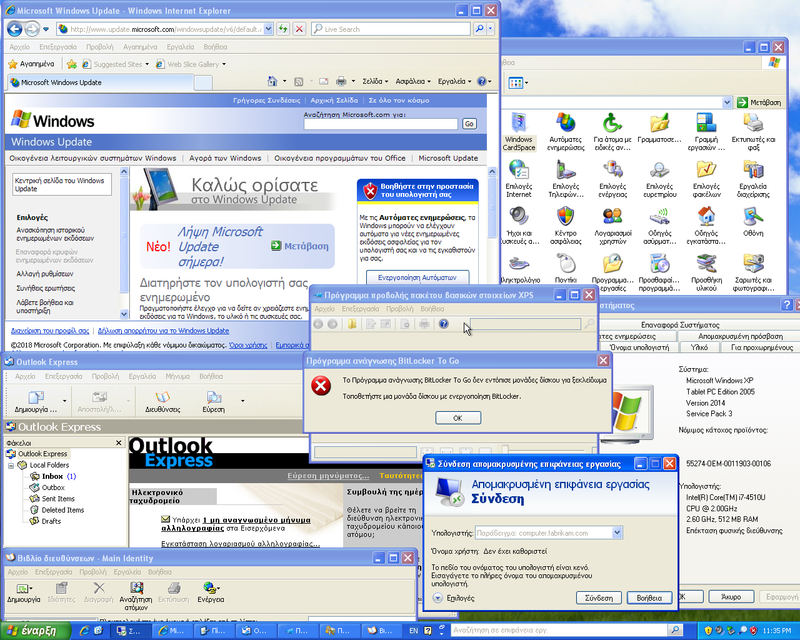 Click the "WinXP Post uSP4 Hotfix Installer" link. When that opens, click the "abbodi86 AIO dotNet update installer" link in that post. That will take you to Abbodi's repository where you can download the file you need. Hello, I've downloaded your Xp pack SP4 from iCloud. I'm trying to install it on a Oracle Virtual Machine but I have no clue how to install the compress.rar downloaded file. I have uncompressed your file, looking between many folders, but I can't find any file like you describe into any folder. (WindowsXP-USP4-v3.1b-x86-ENU.exe seems to be what to install first, but I have not found yet). 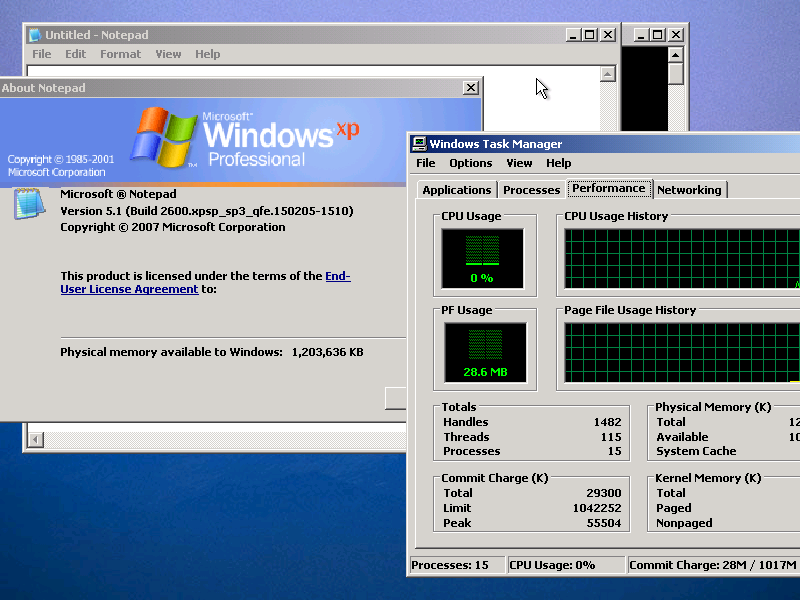 All windows xp official downloads of mine are installed and running. Is it possible to install your SP4 on a Virtual Machine? How? Nice project, my name is Juan Pablo. Thanks GH0st , I've noticed that. When you have a chance maybe you could suggest to Abbodi to create a thread somewhere on RyanVM board, if Repacks forums have really gone out of business. He has been doing some excellent work with .Net update installers and right now there is no easy way to refer others to his work. There are lots of dedicated XP users out there, on different forums, who could be interested in his installers, but they might be suspicious when asked to download a file directly from Google Drive, Mega.nz, etc. when they have no background information about the author of the file. I hear your point ... but ... the link to his "Pastebin" is his site ... works for me! He himself shared it to my google drive, so I posted it as such. I do love his work, and have been pleased with it for well over a year (or so) now. Hope he continues with his project. I will continue with mine, at least till its EOL, which is just a few months away. Not sure what will be available after May2019. ok, This is the forth time I have gotten a DMCA Violation on this update pack. Now this time its from Google regarding my google drive. So guess my project ends here!!!!!!!!!!!!!!!!!!!!! Its been deleted on Google drive ... but they did not remove the older versions, which other sites declared to a violations in past months. Anyone else have a better idea? We only have a few months to go before the XP's 2nd EOL. Would be nice to continue with this pack, then have a final version. There is no way they are finding it on each site ... so someone is turning it in as a DMCA violation. Who's the rat? Google Drive is not very good anyway. Use an other filehoster (I recommend MEGA or Mediafire, zippyshare is also very good and don't even need an account, but the file is deleted after 30 days of inactivity). You should encrypt/hide your link so copyrights robots can't find them.